NEW YORK (CNNMoney) -- Overhauling the United States' outdated and flawed patent system has been talked about for decades, but reform could finally be around the corner -- for real, this time. The Senate earlier this month overwhelmingly passed its version of a patent reform bill, voting 95 to 5 in favor of it. The House will take up its own version this week: David Kappos, director of the U.S. Patent and Trade Office, is testifying before the House Subcommittee on Intellectual Property on Wednesday. If passed, reconciled and signed by the president, the similar bills would offer the first significant change to the U.S. patent system since 1952. It has been a long wait -- and considering the time it takes to bring a bill to the House floor, vote on it and iron out differences with the Senate bill, it could still be a while longer before we see reform enacted. But reform is necessary, proponents say, because of how technology has evolved over the past six decades. Patent applications are coming in faster and more furiously than the government could have imagined 60 years ago: The patent office examines roughly 500,000 applications every year. That has led to a 700,000-patent backlog and a three-year waiting period for the average patent to receive approval. Each patent contains a potential new industry in waiting (think how many companies and jobs the Laser helped create). For an economy that desperately needs new jobs, that's a long time to wait. The bills would help to alleviate much of the pressure on the USPTO by allowing the organization to set and keep its own fees. If reform passes, the patent office has suggested that it would raise fees for more complex patents and lower fees for simpler patents. Right now, Congress allocates the office's annual budget, and also determines what fees it can charge. Kappos estimates that change would bring in an additional $300 million, which the USPTO could use to staff up and invest in much-needed IT resources. With that boost, Kappos thinks the USPTO could halve its backlog to 350,000 applications. That's the ideal inventory level, he said, since it would give each patent examiner enough work to stay busy, but also ensure that most patents get approved within a year of submission. "What we'll see is a job-creation engine turned loose," Kappos said. "It will give us the ability to examine work given to us by U.S. innovators much more effectively, so they can produce products and services and economic opportunity much more quickly." Though it's difficult to assess exactly how many jobs would be created if patent reform were to become law, Kappos estimates that "millions of jobs are lying in wait." Both bills would also help keep patent battles out of the courts. 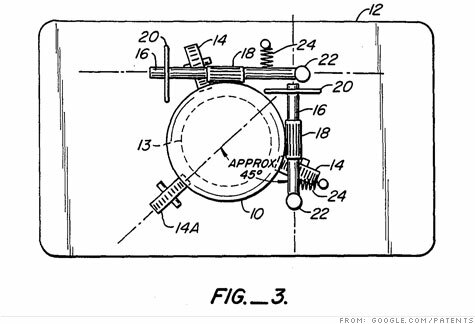 The proposed patent reforms would give the USPTO the ability to quickly take a second look at patents that become commercially significant but which a third party believes have become invalid. That, in theory, would resolve many disputes without the need to flood the legal system with unnecessary litigation. It would also help protect inventors from the hefty cost of defending their patents. The application, processing and legal fees average about $15,000 per patent, but the cost to defend those patents in court after they've been granted typically runs between $3 million to $6 million, according to Bijal Vakil, a partner in White & Case's intellectual property team in Palo Alto, Calif.
A more controversial part of both bills would transition U.S. patent law from a "first to invent" to a "first to file" system. That would give the patent to the first applicant, rather than the first inventor. It's the standard most of the rest of the world uses, since it prevents inventors from coming out of the woodwork and and laying claim to a patent. Those in opposition to the bill claim that a first to file system would harm independent inventors. They say it would force inventors to race to the patent office to beat mega corporations -- with significantly more legal and R&D muscle -- to the punch. Currently, inventors are shielded by the first to invent rule, which lets them disclose their inventions to potential investors without the fear that one of them will spill the beans. But an analysis by the USPTO concluded that of the last 3 million patent filings, only one was from an independent inventor who would have been harmed in that manner if a first to file rule were in place at the time. By contrast, in that same batch of filings the office found 10 independent investors who filed first but were attacked afterward by large entities claiming to be the first to invent -- and all 10 of the big companies won. Switching systems "will dramatically help the entire innovation community in the U.S., but particularly the small business community that is so important to job creation," Kappos said.